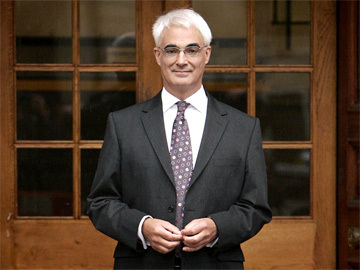 Today, the Chancellor Alistair Darling delivered his first budget, prompting what can only be described as a lacklustre response. Financially cautious with limited social engineering intentions, it aimed to be a budget that halfway nodded towards the preoccupations of the moment. These include green levies, such as the “aim” to levy a charge on plastic bags. Fuel tax manipulation has been put on hold, with an acknowledgement of $110 oil having pushed petrol prices to an already recent high. On Growth, the forecast for this year has been lowered to between 1.75 and 2.25 per cent. On Inflation, recent fuel and energy prices will stoke inflation during 2008, though he predicts a return to target (Target – 2%), by 2009. On Public Spending: to grow by 2.2 per cent in the next three years. On business, an interesting aim: target for small and medium-sized businesses to win 30 per cent of public sector contracts in the next five years. On Tax – new charge (anticipated at £30,000) on non-domiciled residents to be introduced from April and to remain in place for present and the next parliament. Beer duty to increase by 4p per pint, wine up 14p a bottle, cider up 3p a bottle and spirits up 55p a bottle. This could put the price of a pint in a typical pub, up by 12-15p, once VAT and margins accounted for – and the price of a bottle of spirits by 80p in a supermarket. These are significant increases and reflect growing Parliamentary acknowledgment of the need to “do something” to halt the permissive and pervasive attitude to drink in this country. Campaigners are not convinced that the tax system is the mechanism for achieving this change. Tobacco duty to rise tonight by 11p per packet of 20 cigarettes and 4p for five cigars. We would argue that this is a profoundly flat budget, short on ideas, limited in scope and desperate for inspiration. Financially it states that extra revenue gleaned through additions to Duty will be re-directed to pulling more poor children out of the definition of poverty. Raising Child Benefit to £20 for the first child being the chief means of achieving this end, coupled with micro measures such as adjusting Child Tax Credits. These, however, are small beer and seem if anything, to be the tired and heavy breathing of a Government in much need of the recuperation of Opposition.